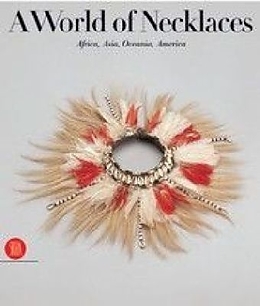 A World of Necklaces , like A World of Rings, A World of Earrings and A World Of Barcelets, is further evidence of the importance and variety of the remarkable Ghysels collection of ethnic jewellery. The collection attests to the rigour and taste with which each item was selected during a lang quest in pursuit of the most beautiful, authentic and original pieces of jewellery. The forms, colours and materials of these necklaces never cease to astonish and enchant, and the modernity of certain pieces has not escaped the notice of contemporary jewellers. The book takes us on a long journey from Africa to Asia, and Oceania to America.